We care, L, and we’ll keep writing, to you and for you. And we hope that you keep writing, too. 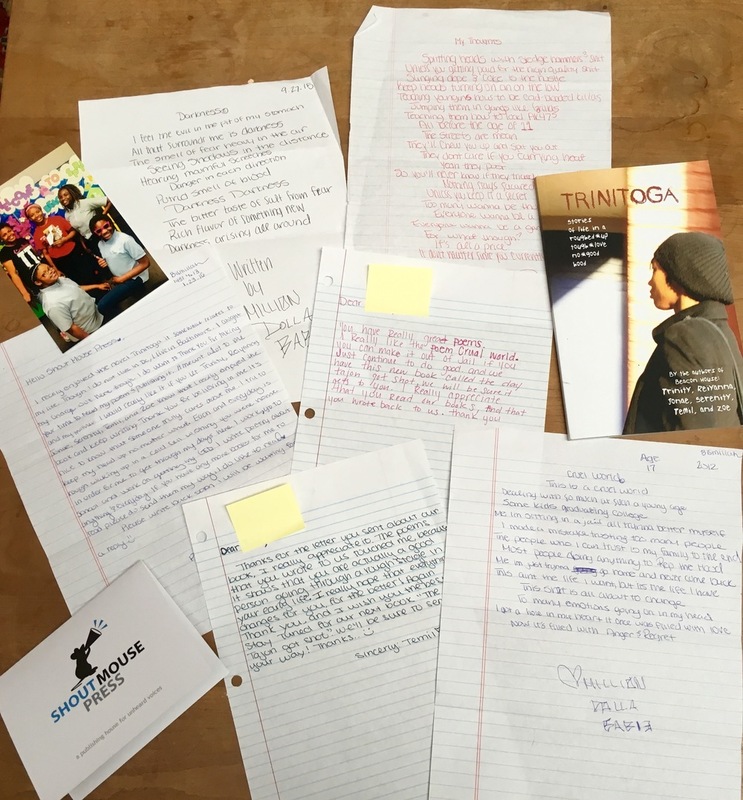 Letter and poems from reader L and Shout Mouse author responses.